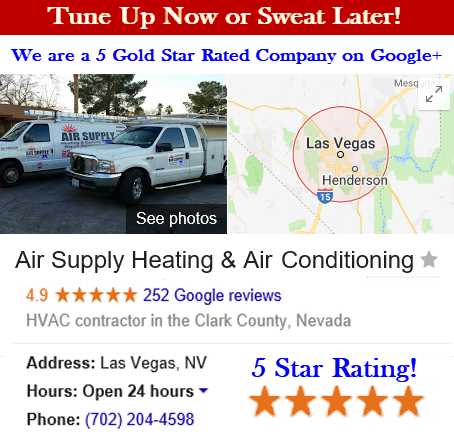 Commercial business owners and residential homeowners in the Greater Las Vegas, Nevada area have a reliable HVAC contractor in Air Supply Heating and Air Conditioning. We are completely licensed and insured to deliver professional care with affordability. 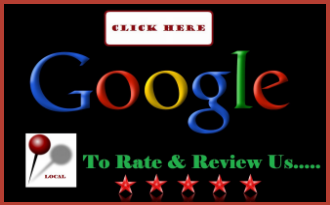 Our technicians are trained, experienced and skilled experts and when coupled with high-end products, tools, supplies, and equipment available only to licensed professionals, we can assure you are getting premium results. 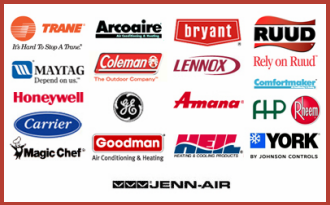 Air Supply Heating and Air Conditioning knows that the HVAC industry has quite a few words and terms that sometimes are not fully understood by the untrained consumer. We have compiled a HVAC system glossary for our Las Vegas, Nevada commercial and residential customers to help you better understand the meaning to common words and phrases often heard in our industry. Air changes per hour: The hourly ventilation rate divided by the volume of a space. For perfectly mixed air that is equal to the number of times per hour that the volume of space is exchanged by mechanical and natural ventilation. Air conditioner: An appliance, system, or mechanism designed to dehumidify and extract heat from an area. Air handler: A central unit consisting of a blower, heating and cooling elements, and filter racks or chamber, dampers, humidifier, and other central equipment in direct contact with the airflow. British thermal unit (BTU): Any of several units of energy (heat) in the HVAC industry, each slightly more than 1 kJ. One BTU is the energy required to raise one pound of water one degree Fahrenheit, but the many different types of BTU are based on different interpretations of this “definition”. Centrifugal fan: A centrifugal fan is a mechanical device that moves air or other gases. Chiller: A device that removes heat from a liquid via a vapor-compression or absorption refrigeration cycle. This cooled liquid flows through pipes in a building and passes through coils in air handlers, fan-coil units, or other systems, cooling and usually dehumidifying the air in the building. Chillers are of two types; air-cooled or water-cooled. Air-cooled chillers are usually outside and consist of condenser coils cooled by fan-driven air. Water-cooled chillers are usually inside a building, and heat from these chillers is carried by re-circulating water to a heat sink such as an outdoor cooling tower. Coil: Equipment that performs heat transfer to air when mounted inside an air handling unit or ductwork. It is heated or cooled by electrical means or by circulating liquid or steam within it. Condenser: A component in the basic refrigeration cycle that ejects or removes heat from the system. The condenser is the hot side of an air conditioner or heat pump. Condensers are heat exchangers, and can transfer heat to air. Controller: A device that controls the operation of part or all of a system. It may simply turn a device on and off, or it may more subtly modulate the set point of components. Most controllers are automatic but have user input such as temperature set points, a thermostat for example. Controls may be analog or digital. Damper (Flow): A plate or gate placed in a duct to control air flow by increasing friction within the duct. Duct: Specialized housing for the air flow. Dehumidifier: A dehumidifier is the equipment that extracts and removes humidity from the air. It works by cooling air to the point where water turns to liquid from vapor form and then the liquid is removed. Diffuser: A diffuser is placed over ductwork, and it separates air with vanes going in differing directions. It evenly distributes air flow in the desired directions. Economizer: An HVAC component that uses outside air, under suitable climate conditions, to reduce required mechanical cooling. When the outside air’s enthalpy is less than the required supply air during a call for cooling, an economizer allows a building’s mechanical ventilation system to use up to the maximum amount of outside air. Enthalpy: For a given sample of air, a measure of the total heat content (the sum of the heat energy of the dry air and heat energy of the water vapor within it). It is typically used to determine the amount of fresh outside air that can be added to re-circulated air for the lowest cooling cost. Evaporator: A component in the basic refrigeration cycle that absorbs or adds heat to the system. Evaporators can be used to absorb heat from air or from a liquid. The evaporator is the cold side of an air conditioner or heat pump. Fan coil unit: A small terminal unit that is often composed of only a blower and a heating and/or cooling coil, as is often used in hotels, condominiums, or apartments. Flow: A transfer of fluid volume per unit time. Furnace: A component of an HVAC system that adds heat to air or an intermediate fluid by burning fuel (natural gas, oil, propane, butane, or other flammable substances) in a heat exchanger. Gas furnace heat exchanger: A gas furnace heat exchanger is responsible for the transfer of heat from inside the furnace into the air outside the furnace. The duct system then transfers this exchanged air to different rooms in the building or space. Grille: A facing across a duct opening, often rectangular in shape, containing multiple parallel slots through which air may be delivered or withdrawn from a ventilated space. The grille directs the air flow in a particular direction and prevents the passage of debris. Heating coil: A heating coil is the part of the system that conducts heat. Heat exchanger: A heat exchanger is the part of the system that transfers heat from the hot parts of the machine or a system to the cold parts of the machine or system. Heat gain/heat load/heat loss: Terms for the amount of cooling (heat gain) or heating (heat loss) needed to maintain desired temperatures and humidity in controlled air. Regardless of how well-insulated and sealed a building is, buildings gain heat from sunlight, conduction through the walls, and internal heat sources such as people and electrical equipment. Buildings lose heat through conduction during cold weather. Engineers use heat load calculations to determine the HVAC needs of the space being cooled or heated. Heat pump: A heat pump is a compressor that cycles hot or cold air. It is a device that is designed to move thermal energy in the opposite direction of heat flow by absorbing heat from a cold space which is released to a warmer space. Heat transfer: Heat transfer happens when heat moves from one area to another. It is an important and vital step in the process of cooling a space. HSPF – (Heating Seasonal Performance Factor): Heating Seasonal Performance Factor is the measurement of heat efficiency over the period of a heating season. Intermediate fluid: A liquid or gas used to transfer heat between two heat exchangers. An intermediate fluid is used when the hot and cold fluids are too bulky (such as air) or difficult to handle (such as halocarbon refrigerant) to directly transfer the heat. Louver: 1. Components made of multiple smaller blades, sometimes adjustable, placed in ducts or duct entries to control the volume of air flow. When used inside of ducts, their function is similar to that of a damper, but they can be manufactured to fit larger openings than a single-piece damper. 2. Rectangular blades, frame placed in doors or walls to permit the movement of air. Makeup air unit: An air handler that conditions 100% outside air. Typically used in industrial or commercial settings, or in “once-through” (blower sections that only blow air one-way into the building), “low flow” (air handling systems that blow air at a low flow rate), or “primary-secondary” (air handling systems that have an air handler or rooftop unit connected to an add-on makeup unit or hood) commercial HVAC systems. Minimum outside air: The lowest amount of fresh air flow that can be allowed into a re-circulating system. This limit is sent to ensure that the interior air remains safe and comfortable to breathe. Outside air damper: An automatic louver or damper that controls the fresh air flow into an air handler and modulates to the most energy efficient setting. Outside air temperature: A measure of the air temperature outside a building. The temperature and humidity of air inside and outside the building are used in enthalpy calculations to determine when outside air can be used for free heating or cooling. Plenum space: An enclosed space inside a building or other structure, used for airflow. Often refers to the space between a dropped ceiling and the structural ceiling, or a raised floor and the hard floor. Distinct from ductwork as a plenum is part of the structure itself. Cable and piping within a plenum must be properly rated for its fire and smoke indices. Psychrometric: The study of the behavior of air-water vapor mixtures. Water vapor plays an important role in energy transfer and human comfort in HVAC design. Radiant ceiling panels: Usually metal panels suspended under the ceiling, insulated from the building structure. The primary cooling/heating agent temperature is close to the room’s temperature. Radiant floor: A type of radiant heating system where the building floor contains channels or tubes through which hot fluids such as air or water are circulated. The whole floor is evenly heated. Thus, the room is heated from the bottom up. Radiant floor heating eliminates the draft and dust problems associated with forced air heating systems. Radiation: The transfer of heat directly from one surface to another (without heating the intermediate air acting as a transfer mechanism). SEER: The SEER-Seasonal Energy Efficiency Ratio rating of a unit is the cooling output during a typical cooling-season divided by the total electric energy input during the same period. The higher the unit’s SEER rating the more energy efficient it is. Smoke damper: A damper or adjustable louver designed to augment the ventilation of a space during a fire. Split system: A split system is the combination of an outdoor unit and an indoor unit. This is the most common type of system. Superheat: The number of degrees a vapor is above its boiling point at a specific pressure. Sub-cooling: A The condition where liquid refrigerant is colder than the minimum temperature required to keep it from boiling which would change it from a liquid to a gas phase. Sub-cooling is the difference between its saturation temperature and the actual liquid refrigerant temperature. HVAC System: General term used to refer to the set or a subset of components that perform a specific HVAC function within a building. Terminal unit: A small component that contains a heating coil, cooling coil, automatic damper, or some combination of the three, often used to control the temperature of a single room. Thermal zone: An individual space or group of neighboring indoor spaces that the HVAC designer expects will have similar thermal loads. Building codes may require zoning to save energy in commercial buildings. Zones are defined in the building to reduce the number of HVAC subsystems. Thermostat: A thermostat is a system that monitors and regulates a heating or cooling system. It can be used to set the desired temperature at which it keeps the environment either heated or cooled. Two-stage (cooling and heating): A two-stage air conditioner is designed to operate on high and low settings during different weather conditions and seasons. The high setting is used during extreme weather, and the low setting is used during moderate weather. This type of air conditioner produces a balanced temperature and is in use for a longer period of time. TXV – Thermostatic Expansion Valve: A thermostatic expansion valve is a piece of equipment that meters the flow of liquid refrigerant into the evaporator while measuring the vapor refrigerant leaving the evaporator. It thereby controls the superheating at the outlet of the evaporator. Under-floor air distribution: A method for providing ventilation and space conditioning by using the air plenum below a raised floor to distribute conditioned air through diffusers directly to the occupied zone. Variable air volume – VAV: An HVAC system that has a stable supply-air temperature, and varies the air flow rate to meet the temperature requirements. Compared to constant air volume systems, these systems conserve energy through lower fan speeds during times of lower temperature control demand. Most new commercial buildings have VAV systems. VAVs may be bypass type or pressure dependent. Pressure dependent type VAVs save energy while both types help in maintaining temperature of the zone that it feeds. Zoning system: A zoning system sections a building or a space into zones which are controlled independently of each other to better control temperature. This is beneficial when different areas or rooms of a building have different temperatures as well as when the desired temperatures in different rooms are different. Temperature is controlled by different thermostats. 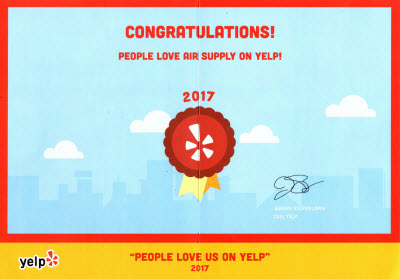 Contact Air Supply Heating & Air Conditioning for all your HVAC needs.